This article is about the change in CRM Application page made as per the role. There was a need which was made in a project to show only those views, buttons and links which are relevant for a particular role. 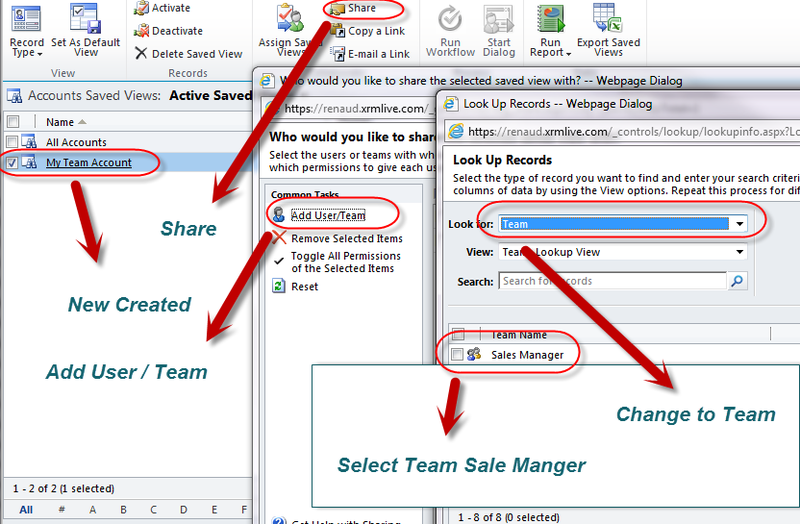 Here are few steps which I took to customize the CRM as per Role. Change in the security role is made in the Setting → Administration → Security Role. User :- That user will able to do operation on his/her records only. Business Unit :- That user will able to do operation on his/her business unit records only. Parent Business Unit :- That user will able to do operation on his/her parent business unit records only. Organization :- That user will able to do operation on all records. Give the permission to the entity(new_advancefindrole) in the Security Role under custom entity(Read). Open the ribbon solution in a ribbon editor. Give permission under security role to entity(new_advancefindrole) to read to show in different roles. 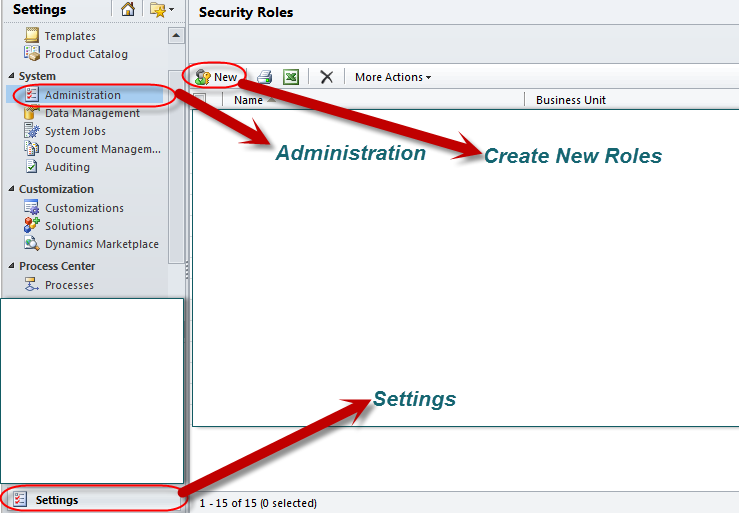 give permission under security role to entity(new_settingsrole) to read to show in different roles. Create the Plug-in with following code. // Obtain results from the query expression. Go to saved view and share the view to the team you want to see that view.